While for many people today February 14 brings images of candy, roses and a fancy dinner, for others that day has brought tragedy. 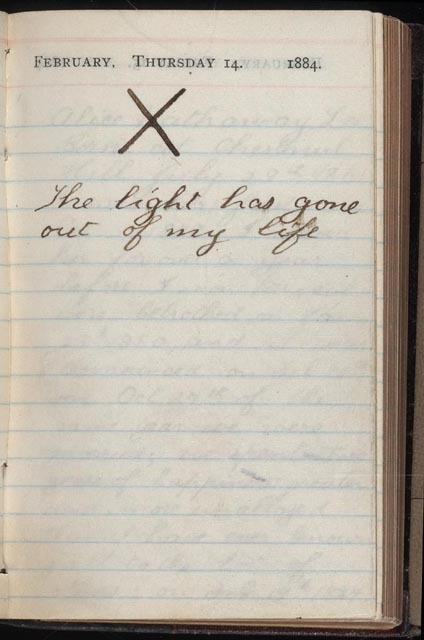 To few has it brought more heartache than to Theodore Roosevelt. Just four years later, on February 12, Roosevelt’s beloved wife Alice gave birth to the couple’s first child, a daughter, in the family’s New York City home. TR was at the state legislature in Albany, and learned the happy news by telegram. But Alice did not recover from the birth; she slid downhill from something at the time called “Bright’s Disease,” an unspecified kidney illness. A doctor friend tells me was probably caused, in her case, by a strep infection, incubated in the teeming city’s crowded homes. By the time TR arrived home at midnight on February 13, Alice was slipping into a coma. Distraught, he held her until he received word that his mother was dangerously ill downstairs. 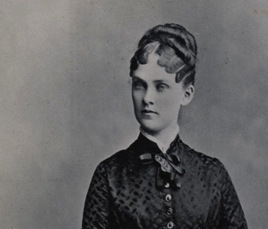 For more than a week, Martha Bulloch Roosevelt had been ill with typhoid, transmitted by either food or water that had been contaminated by sewage. His mother died shortly after he went to her. TR rushed back to Alice, who lived only a few more hours before she, too, died. He refused ever to mention Alice again. Although a profoundly personal tragedy for TR, there was, perhaps, national significance in his losses. The diseases that killed his wife and mother were diseases of filth and crowding—the hallmarks of the growing Gilded Age American cities. When he became president in 1901, TR would champion the urban sanitary reforms of the Progressive Era. This dark side of Valentine's Day adds an interesting twist. Your last remarks bring up something interesting about how personal life shapes policy and alters the larger story. That's fascinating in the case of TR. A sad tale nicely told. We forget how much more frequently death touched the lives of people, before the age of antiseptics and antibiotics. It's amazing how many diseases (Brights, erysipelas, etc.) were basically out-of-control bacterial infections.